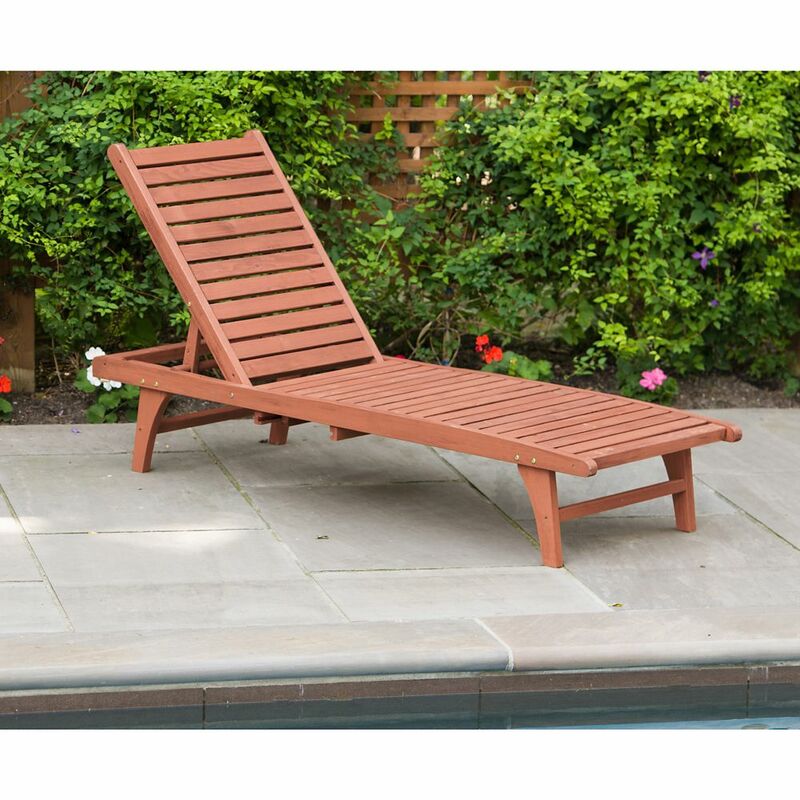 This 2-in-1 chaise lounge chair with pull-out tray allows you to enjoy your outdoor space longer. Ideal for use on the patio, by the pool or in the yard, the lounge is crafted from solid Cypress wood, which means it won't ever decay (similar decay resistance to Western Red Cedar). This chaise also includes a convenient side tray that holds snacks, drinks and wireless devices while you relax. Assembles easily. The Atlantic Collection is the perfect match for any home. All of these sets are hand crafted from high quality resin wicker with rust-free aluminum frames and are held together with galvanized steel hardware. With our great workmanship and strong materials, we ensure sturdiness and longevity for this elegant collection. We use Durawood which is an environmentally friendly material that is built to last a lifetime. Care-free comfort built to weather season after season. The perfect poolside escape. The Baja lounge features breathable and supportive sling fabric that allows you to stay cool in the hot summer sun. Stackable for convenient storage. Built-inch wheels for easy mobility. Strong and durable construction that is virtually maintenance free. Chaise Lounge with Pull-Out Tray This 2-in-1 chaise lounge chair with pull-out tray allows you to enjoy your outdoor space longer. Ideal for use on the patio, by the pool or in the yard, the lounge is crafted from solid Cypress wood, which means it won't ever decay (similar decay resistance to Western Red Cedar). This chaise also includes a convenient side tray that holds snacks, drinks and wireless devices while you relax. Assembles easily. Chaise Lounge with Pull-Out Tray is rated 2.6 out of 5 by 13. Rated 1 out of 5 by Sean from The chair came with a couple broken pieces but I... The chair came with a couple broken pieces but I put it together before noticing, and then as it was sat on for the first time the wood just cracked up...so I took it apart and we returned. Rated 5 out of 5 by Lou A from Nice Nice looking lounger, definitely buy a pad for it. Rated 3 out of 5 by Ann from Not at all bad for the price, easy to assemble.... Not at all bad for the price, easy to assemble. But color is misleading. Actual color is yellowish pine, not at all as shown. Rated 4 out of 5 by David from Looks nice when assembled. Some small pieces of wood... Looks nice when assembled. Some small pieces of wood were cracked. Does the backrest fold down to completely flat with the seat? Yes the back folds down completely.